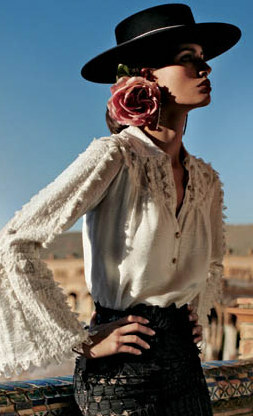 The tradition of wearing the wide brimmed hat in Andalucia dates back to the 17th century. 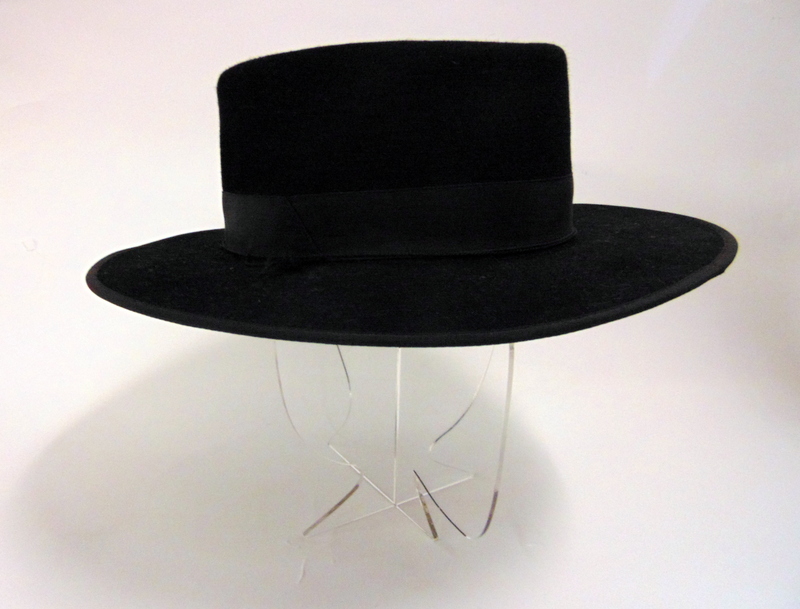 Then, it was only worn by poor peasants seeking to protect their hats from the sun and rain. Later on, the sombrero came into use in towns, as a part of the national attire during folklore festivities. Nowadays it became an integral part of the traditional costume in the province of Córdoba. It has also become richer: made of thin felt, with a silk band around it. Spain, Córdoba, 21st cent.